Sometimes a juicer is just a juicer and, but that is not the case with the Breville BJE820XL juice processor. It will serve your kitchen in many functions beyond nutritious juice. If you want a juice that does more than just whip up a green smoothie before your run, this might be the juice processor to look into. The Breville BJE820XL comes with a second disc and special insert designed for making puree from fresh produce. This disc can be used to make thicker smoothies, soups, sauces, and dips. 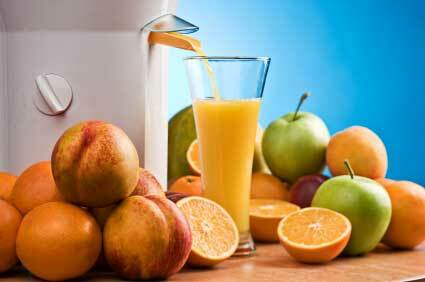 Many juicers are only designed to make juice, and many pride themselves on removing all pulp from the juice. With this juicer, you can include more pulp if it suits your needs or taste buds. Of course, you can still make healthy juice blends without all the pulp and thickness if you use the other disc. The extended functionality of the machine is what Breville prides itself on with this model. Turn a dial, and you can choose between five different speed settings on the Breville BJE820XL juicer. This is important because it allows you to select the appropriate speed for different fruits and vegetables. It takes more power to juice an apple or carrots than it does to process spinach leaves or wheatgrass. Many other juicers will stop at two or possibly three speed options, while some only have one option. Having five options makes it easier to get the most from every piece of produce you process. The larger the feeding chute, the less cutting up you have to do in preparation for a juicing session. Standard sized chutes are okay if you do not mind taking the time to cut up most of what you juice, but the oversized chutes are very convenient as you can push small to medium sized fruits and vegetables in with little to no time spent slicing them into pieces. 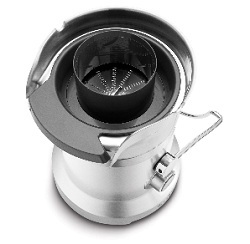 This Breville juicer comes with a three inch chute, which is large enough for smaller sized apples and other fruits to go in without any cutting up. There are many other juicers on the market with the same chute size, so don’t let this be the deciding factor in your purchasing decision. Power is important to make sure harder and thicker fruits and vegetables can be properly processed. 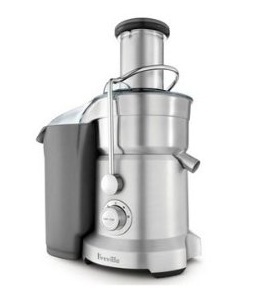 With a 1200 watt motor this Breville juicer is definitely not the most powerful on the market, but it does have enough power to properly process most fruits and vegetables. Most consumers are overwhelmingly pleased with the BJE820XL juicer processor, and there are few flaws to the machine. It can be a bit noisy, but that can be said of most high functioning, efficient juicers today. While this juicer model may be found in stores, it is also available at several online stores including Amazon.com. Amazon sometimes also often offers this refurbished model at a significant discount. This is a good all-around juicer, but at just under $500, you may want to consider a great juicers like the Breville 800JEXL or the Omega 8005 for all the same juicing power, but for less money.